These delightful set of variations were conceived as a kind of leaving present for Judith Serota, who ran and managed the Spitalfields Festival in London for many years. The idea was to get as many past music directors as possible who had been involved with the Festival to write a variation based on Judith’s favourite Bach aria Bist Du Bei Mir. The list is like a roll call of Britain’s top contemporary composers working today; Jonathan Dove, Judith Weir, Michael Berkeley, the late Richard Rodney Bennett, Diana Burell, Thea Musgrave, Tarik O’Reagan, Stephen Johns, Anthony Payne and the late Peter Maxwell Davies. These ‘original’ published set of variaions were premiered by me at Spitalfields in the Festival in 2012. For a UK recital tour a few years later I decided to add a few more to the collection with some younger British composers, and Toby Young, Aaron Holloway-Nahum, Julian Grant, Stephen Potts and Simon Rowland-Jones joined the list! The idea was for me to encourage the list to grow for future performances, but only the original set of variations have been published officially. In October 2016 as part of my 60th birthday celebrations, Cheltenham Festival decided to commission a new work for a performance at the Festival. Jonathan Dove has been a long time friend and colleague. In the late 1980s he wrote me a work AIR MAIL LETTER FROM MOZART for a small ensemble for a tour to the US where we premiered at Lincoln Center. 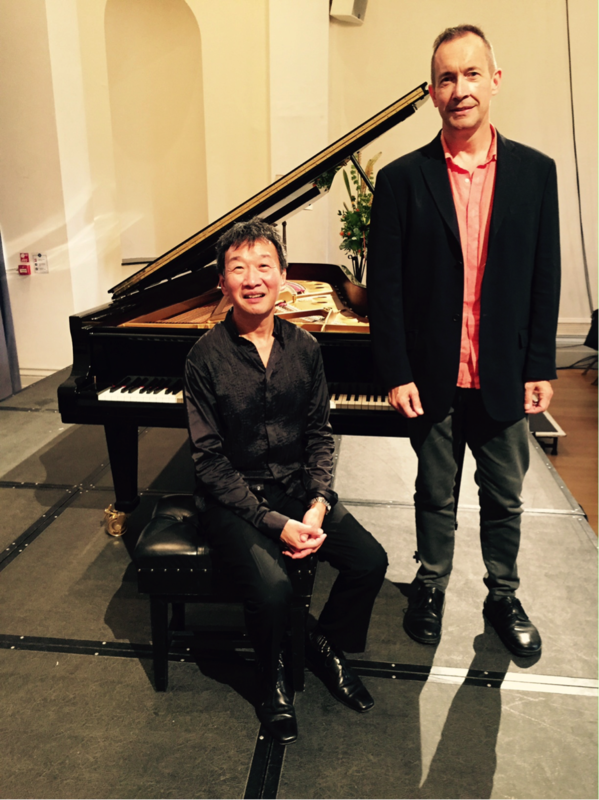 Jonathan, as Director of the Spitalfields Festival for many years, later persuaded me to take on the monumental piano piece Vingt Regards sur l’enfant Jésus by Olivier Messaien where I performed it at a Spitalfields Concert for the first time. So naturally for a big birthday celebratory piece, I decided to turn to Jonathan again. 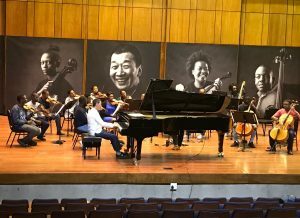 The result was CATCHING FIRE, a sizzling 15 minute piano piece which I went on to perform not only for my birthday concert at Cheltenham, but also in Holland, Singapore, and Australia. The piece was a co-commission with the Britten Pears Foundation and the Cheltenham Festival. 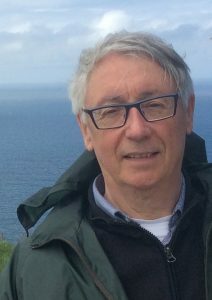 Kevin Volans is another esteemed friend and colleague, is also one of the most respected and revered composers working today. In 2017 for the London Piano Festival at Kings Place in London, I premiered L’Africaine, a 3 movement piece inspired by African tribal music. Its rhythmic structure of African dance and chant made it an obvious choice for me to agree to learn the piece. 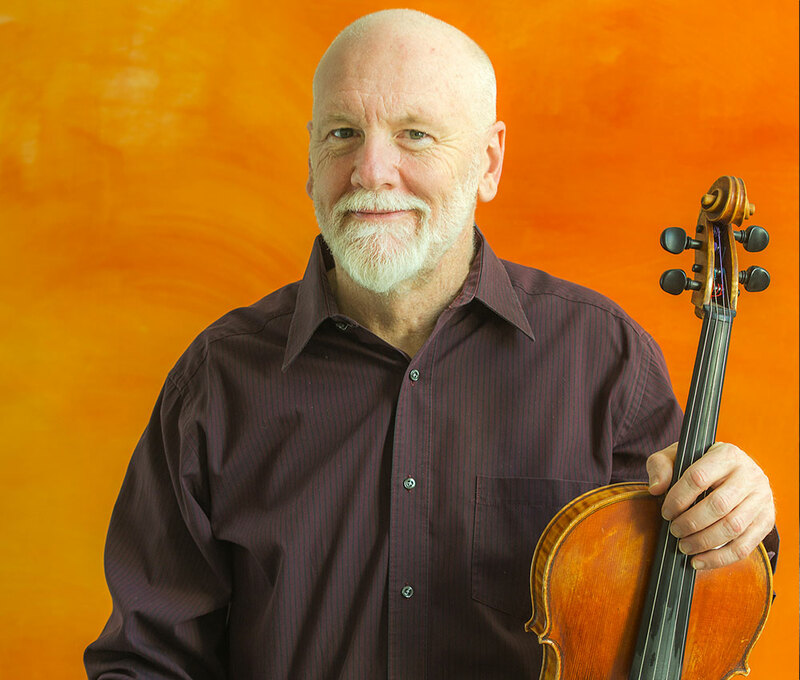 In October 2019 Kevin celebrates his 70th birthday with a whole day of wonderful musical events at the Wigmore Hall. L’Africaine will open the day’s celebrations and I am also performing a new piano quintet written for the occasion. I can’t wait! The date of the Wigmore is now confirmed for the 11th December, and there will be more in the diary nearer the time. I am very proud and pleased to be involved with the opening of a new Music Conservatory in Singapore in April this year. The Aureus Academy was started by brothers Lawrence and Julius Sarabi, together with Bina Jung, well over 6 years ago. The aim was to provide musical centres for children outside of school hours to enrich their musical education and appreciation. They now have nearly 30 centres in Singapore with over 7000 students. 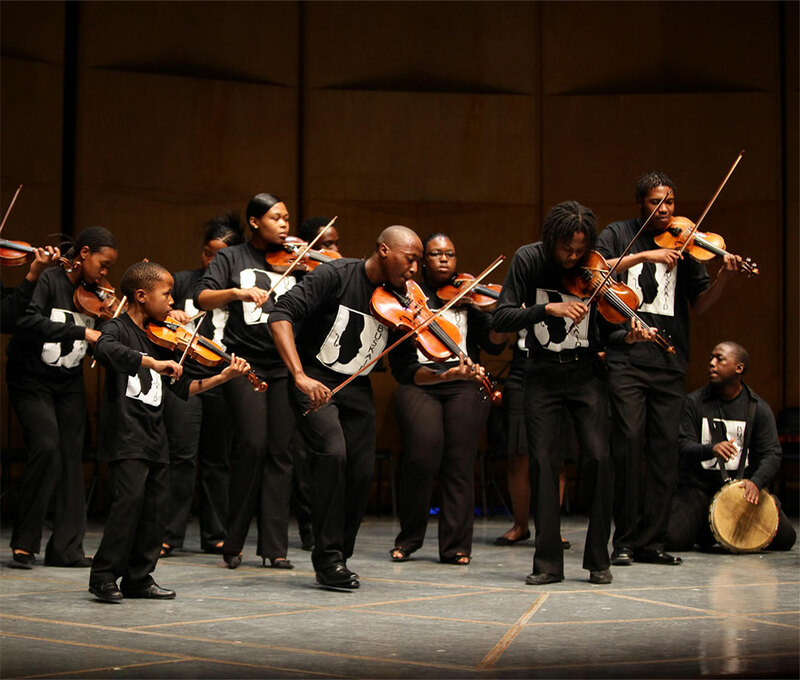 The natural progression was to strive for the beginning of a Music Conservatory where students can further their musical education, obtain a degree and launch a career or further enrich the musical life of others. I myself shall oversee the keyboard department and I cannot wait for the launch in April of 2019!! Brett Dean wrote this beautiful mellifluous haunting piece for Emmanuel Ax some years ago, and the Hatfield Festival in 2018 has invited me to perform this piece which I am doing for the first time. The 3 pieces were originally conceived as a kind of musical sandwich between the Brahms Op 119 pieces, but for the Festival I will only perform Op 119 nos 1 and 4 with Brett dean’s pieces in between. The Fernanda Giulini Collection of historical keyboards in Italy is probably one of the largest and most comprehensive collections in the world. 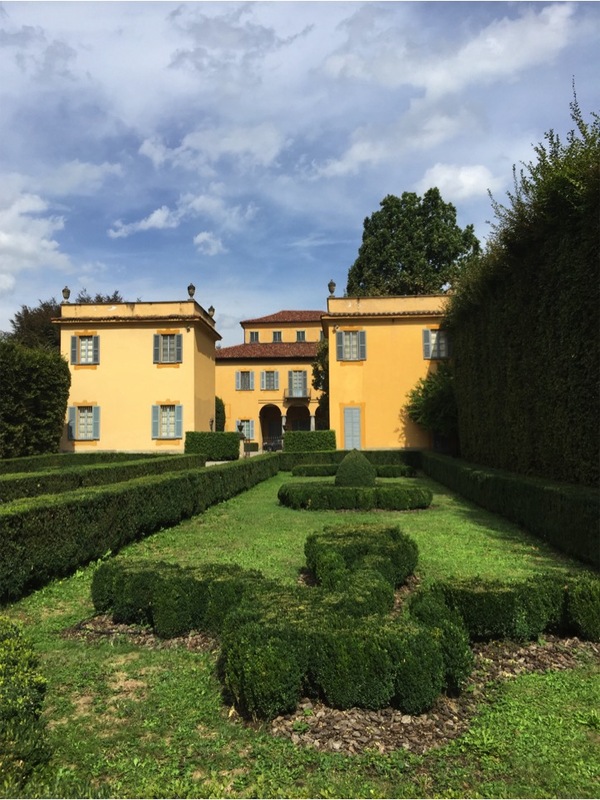 The main bulk of the collection of early pianos are housed at the Villa Medici Giulini just outside Como in Briosco, and the harpsichords in a spacious apartment in Milan. I first met Signora Giulini about 30 years ago and we have remained firm friends. 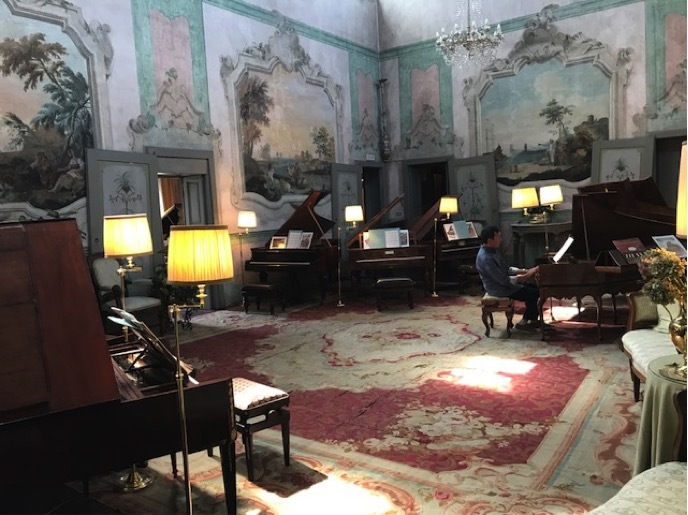 In October 2015 I conducted a week’s Masterclasses with students concentrating on works by Mozart, Hadyn, Beethoven and Schubert on the modern piano but with reference to the Collection, when on one of the day’s Classes we visited and played on the Collection to discover the sound worlds of the various Composers in question and when the students could if they wanted to, play their chosen pieces on the appropriate historical instruments. I am very much hoping that I will be able to repeat this project for the future and to introduce students and audiences alike to the wondrous sound worlds of these amazing instruments and incredible collection. 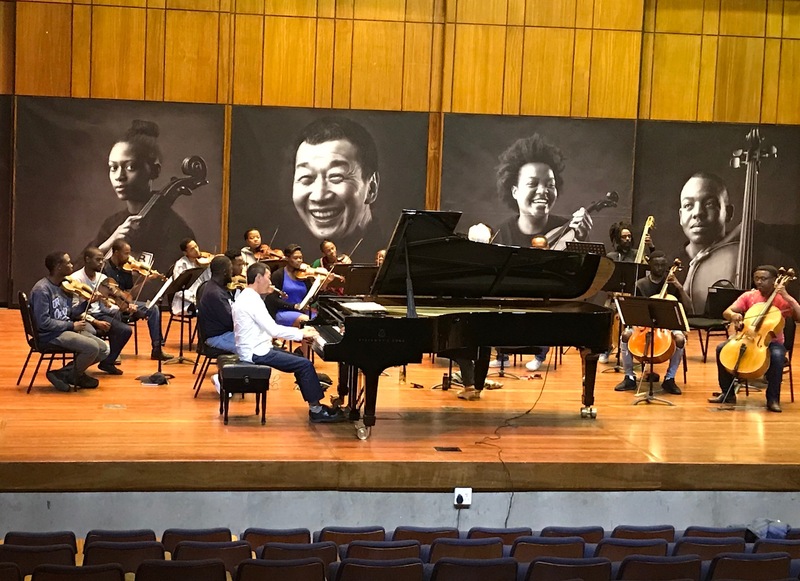 BUSKAID in South Africa celebrates its 21st anniversary in 2018 and I am proud to be part of its ongoing success and endeavours in bringing classical music to Soweto. Run by the formidable Rosemary Nalden, her admirable achievements never seem to stop! In September 2018 they celebrate their anniversary with a concert at the Linder Auditorium where I will be performing with them a Mozart piano concerto ( K 415 ) and a Caprice by Saint-Säens.